I was out behind the house watching the sun start to rise. 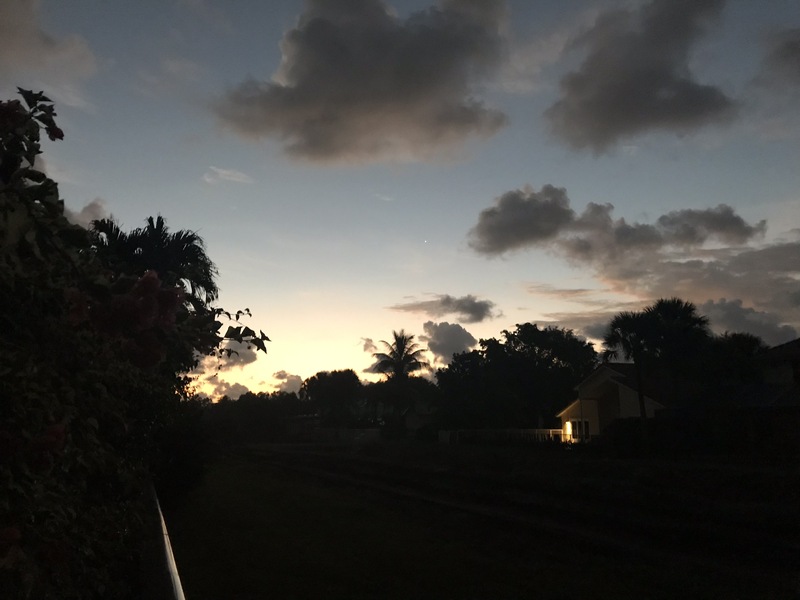 i noticed a bright light fixed in the sky just before 6am. 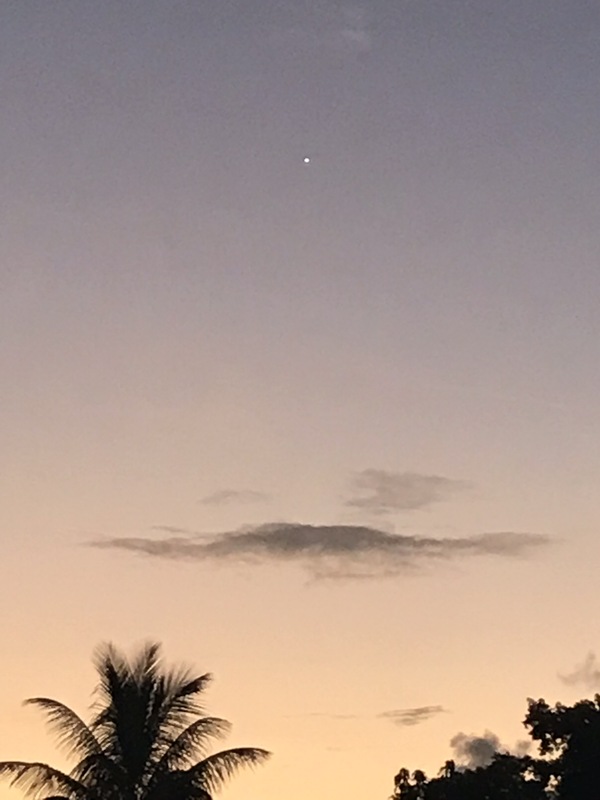 a couple things caught my attention 1) the object appeared “fixed “in the sky and 2) it was the only bright light around....No stars at this point , no moon ,etc. i considered that it might be a light on a tower but that made no sense because it was too high in the air for a tower and i regularly observe the sunrise from this spot never noticing this light prior to that time. 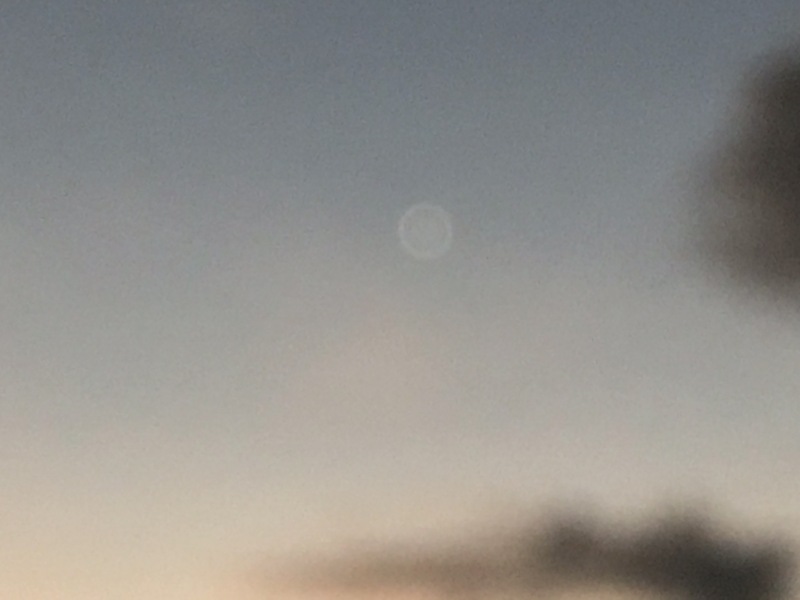 it was not until i zoomed in a couple of the pictures i had already taken (and when the sun started to rise )that i noticed obvious edges to the object and it’s bright silver color. it appeared to me that this is a “man made” object looking very much like a flying ship of some sort. the edges were not obvious without the aid of the digital photos. i also noticed as i was taking pictures that the object would kind of “blank out” every now and then. by that i mean appeared to change its physical structure to something resembling the orb around the good witch in the wizard of oz.It appeared to the naked eye as kind of a flash or reset of the image and it was hard to identify what was happening. fortunately one or two of the pictures appears to verify this. and finally, it seemed like the object was adjusting its position based on the sun. the movement in the sky was very subtle to the eye but it was definitely moving higher and away as the sun rose. i would have continued to observe but a huge cloud came between me and it and that was the last i saw of the object. thank you !